Johnny Gruden is officially a member of the Ottawa Senators. 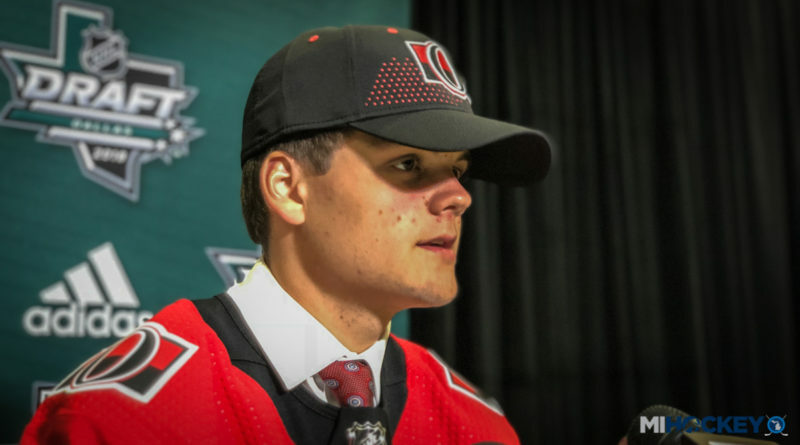 The Rochester Hills native has signed with the NHL franchise that drafted him in the fourth round of the 2018 Draft. Gruden, 18, just wrapped up his freshman season at the University of Miami. He posted 15 points in 38 games for the RedHawks. Gruden is a product of USA Hockey’s National Team Development Program; he played for Team USA from 2016-2018. Prior to that, he played for Honeybaked and Little Caesars. His father, John, played at Ferris State before an NHL career that featured a stop in Ottawa. The elder Gruden, now an assistant coach for the New York Islanders, spent four seasons as a coach for the NTDP before becoming the head coach of the Flint Firebirds and eventually the head coach of the Hamilton Bulldogs.